This December, we are all about enhancing our holiday shopping experience here at Greenhouse Garden Center. We are happy to offer expanded evening hours Wednesday through Friday 9:00 AM to 5:30 PM. Come join us, enjoy a cup of wassail and shop amongst our 26 themed Christmas trees for one-of-a-kind ornaments featuring everything from happy gnomes to Mark Roberts fairies. Don't forget our wreath making class, Dec. 2nd. We are offering (2) sessions limited to (8) people each session. Our gift shop is fully stocked with Christmas accessories perfect for all your holiday needs - as well as wonderful gifts for everyday. This year, we are once again featuring Noble and Norland Fir fresh cut Christmas trees. The January landscape Design Workshop For The Homeowner is filling up fast. This is a great gift that keeps on giving and is guaranteed to provide years of gardening enjoyment and success. Come in or call to reserve your spot. We are pleased to have the award-winning DHS Douglas Dynamics join us on Saturday, December 9th for a Christmas concert between 11 AM and 12:30 PM. Remember anytime you make a purchase between now and then you are eligible to enter the drawing the $100 gift certificate giveaway. December and January are the gardener's time to pause and reflect on what worked and what didn't last season and to make plans for the next growing season. We encourage everyone to think about trying something new. Greenhouse Garden Center is committed to continuing our efforts to expand our organic lines and promote organic products to our customers. With this year drawing to a close, we would like to take time to reflect on just how very thankful we are here at Greenhouse Garden Center to have such loyal and inspired customers. Our wishes for a restful holiday season and a great gardening year to come. Workshop, "Decorate A Holiday Wreath, (2) Sessions, 11 AM & 1 PM, $50 Fee (includes artificial wreath, floral picks, lights, and ribbon). Reservations Required, Limited To 8 total per session. DHS DOUGLAS DYNAMICS SINGERS, 11 AM to 12:30 PM. WINNING RAFFLE TICKET WILL BE DRAWN DURING THE PERFORMANCE. YOU MUST BE PRESENT TO WIN. During this session drip and sprinkler considerations will be further customized to each homeowner's needs. Also, lawn, soil conditions and amendments, fertilizers, plant care and watering issues will be addressed. In addition, hardscape landscaping such as pavers, patios, ponds lighting, statuary, and benches will be discussed. At the end of this session, a discussion of tree and plant selection will be conducted with an onsite tour of the nursery to view various trees and shrubs. An artificial tree must be used for 20 years to have a lower carbon footprint. Grown "Natural" trees produce oxygen and absorb carbon dioxide the entire time they are growing. One acre of Christmas trees on a farm produces enough oxygen to support 18 people. Natural trees are recycled by most cities. 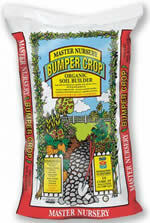 They are ground into mulch for hiking trails, gardens, and other purposes. Trees grown on Christmas tree farms are grown sustainably - for every tree cut down, 2 to 3 more seedlings are planted. Start a family tradition by choosing a living Christmas tree. Decorate the tree carefully and use LED lights, because they are cool. Keep the tree in the house no longer then 7 days. Keep it away from working wood stoves and fireplaces. Water the tree thoroughly before bringing it into your house. Place a saucer under the tree to protect the floor or table. Place the tree outside after Christmas, unless the temperature is below 15 degrees. Then place the tree in your garage until the temperatures meet or exceed 15 degrees. Try to plant it as soon as possible, since it will be better for the tree and easier to keep it watered. If you cannot plant it, then place the tree on the east or north side of your house until it is planted. Greenhouse Garden Center has a very nice selection of living Christmas trees, starting in a 1 gallon size and going up to the big box size. Looking for something special made in the USA? Take a look at our selection of Painted Sky Designs benches, gliders and swings. This company is a family owned company based in Ohio. The complex process of producing these works of art features an original art work wax casting made into a cast iron and aluminum bench with a bronze powder coat sure to last for years. Each piece is finished to make it unique with hand-painted hi-lights. Our selection of bronze children are a new addition to our bronze statuary collection. We also feature life size bronze deer, mountain lions, elk, bear, big horn sheep and antelope. Each piece stands approximately 3 feet high. This is sure to add special enchantment to any landscape. These will become a much cherished family collectable. Vegepods take container gardening to the ultimate in convenience and technology. They come in (3) sizes. The size featured here is 39" X 39". There is a smaller size 39" X 20" and a larger size 79" X 39". These garden kits feature self-watering, easy set-up, and mist spray watering. They are made from UV stabilized polypropolene. They come with optional stands and trollies which will raise the growing area to 32", eliminating crawling on the ground. An optional PVC winter propagation cover for these units is also available. Apply Kaput for vole control and check all the bags daily. Keep replacing the bait before it is empty - the anti-coagulant agent is cumulative in the rodent's system and will lose its strength if application is not repeated. If bait is not taken within two to three days, replace with fresh, or choose a more favorable site to place the bait. Birdseed attracts voles and can even cause voles to migrate into gardens, so restrict habitat around your bird feeder. Voles do not hibernate. Water one time in December and January if we do not have any measurable precipitation in the form of rain (1") or snow (12"). Apply Moisture In or Cloud Cover once a month on broadleaf evergreens. Attract birds to your yard by offering a continuous supply of clean water and food. Use a bird bath de-icer to keep the water from freezing. Feed finches with Niger Thistle Socks. Attract a wider variety of birds with Suet and Seed Mixes. Several blends are available. Fertilize houseplants with Osmocote fertilizer now. To control soil gnats, apply Systemic Houseplant Insect Control to your houseplants and lengthen the time between waterings. Moving your Christmas Cactus around may make the buds and blooms fall off. If the temperature drops below 55 degrees in your home at night, you will experience bud drop also. Keep your Poinsettias out of cold drafts. Don't over-water, and do give them bright light. Dig a hole for your Living Christmas Tree before Christmas and put the soil in the garage for ease of planting in January. Plant your tree on a warm, sunny day. Remember to recycle your cut tree. Now is the time to pot up the spring bulbs you have been storing in your refrigerator for forcing. Enjoy the delightful blooms and scents in February and March. Does your yard need a face-lift? Reserve a spot in our January Landscape Design Workshop For The Homeowner. If you feel the job is too big, GGC'S Landscape Division can help. Melt butter in saucepan and cook chopped onion until tender. Stir in celery and carrots and cook for 2 minutes. Add chicken stock and bring to a simmer. Add potatoes and simmer until tender. Top with pie crust and brush with egg. Bake for 30 minutes until crust is golden.